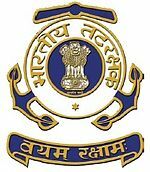 ICG Notification 2018.Indian Coast Guard has released a notification for the recruitment of Assistant Commandant (Group ‘A’ Gazetted Officer) for various branches.Check the eligiblity and notification prior to apply for the positions. Assistant Commandant (Group ‘A’ Gazetted Officer). Qualification: 10+2(Intermediate), BE/ B.Tech, valid Commercial Pilot Licence, Degree in Law with Medical Standards.